First Peter 5:8-11 is a most important portion of Scripture that warns Christians to be ever vigilant because of their enemy the devil. He is said to be like a 'roaring lion', prowling around seeking someone to devour. This book is a practical exposition of the Apostle Peter's words written by an experienced pastor. 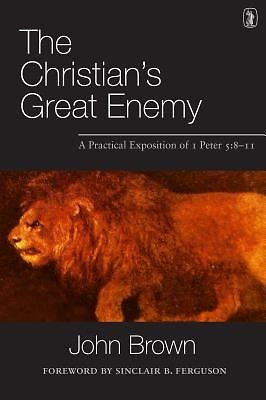 Its aim is to inform Christians of their duty in reference to their 'great enemy' and to encourage them to resist him while standing firm in the faith.